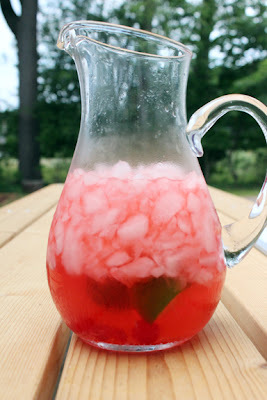 One of my favorite summer time drinks is cherry limeade from Sonic. I no longer have a Sonic near me so I started making my own and think I just about perfected it. 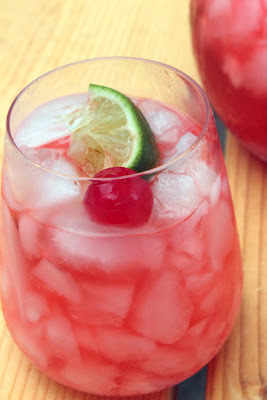 To make all you need is crushed ice, Sprite (I used Sprite Zero), cherry juice and limes. 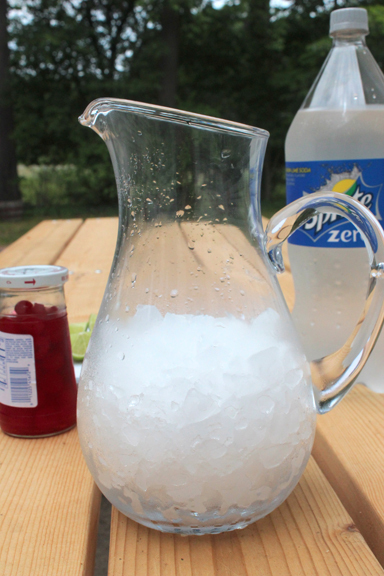 Pour Sprite (I did ½ a 2 liter) over crushed ice, cut one lime into quarters and squeeze onto the Sprite and ice add cherry juice to taste. Let sit for at least an hour to let the flavors merry. Looks so delish! I need to try it for my next gathering! Oh my goodness, that looks PERFECT for the summer heat! Great recipe, Erica!